York offers awards & scholarships specifically for international students ranging from $100 to $100,000. In addition to the awards requiring this application, some awards are automatically granted based on academic performance.Established for international undergraduate applicants, recognizing academic excellence, leadership qualities, exceptional community service and individual achievement. You MUST be applying for September entry. You MUST be an international student who is required to have a Study Permit to study in Canada. You MUST be applying to the first year of a fulltime undergraduate degree program in one of the following Faculties: Liberal Arts & Professional Studies, Environmental Studies, Fine Arts, Glendon, Health, Lassonde School of Engineering, Science, Schulich School of Business. You MUST possess an excellent academic record (“A” average or equivalent) and have demonstrated leadership through community service or excellence in the arts, sports or other areas of individual achievement. You MUST have graduated from high school within the past two years. Application documentation is required. See checklist on reverse. Valued at $15,000 and renewable for a further three years of full-time undergraduate study provided high academic standing is maintained in each academic year. You must be nominated by your high school. Only one candidate per school will be considered for this award. You must meet the general eligibility criteria. Note: This is a partial scholarship intended to supplement your own finances. 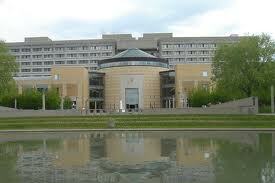 It will not cover the entire cost of studying and living at York University. Valued at $25,000 and renewable for a further three years of full-time undergraduate study provided high academic standing is maintained in each academic year. You must be enrolled in or must have graduated within the past two years from a United World College to qualify for this scholarship. York requests that only one candidate be nominated per school. E-mail your application and supporting documents by March 15, 2013, to [email protected] If you have mailed your application and are now sending supporting documentation via e-mail, please note in the e-mail that your application has been mailed and the date it was sent. Counsellors or schools may e-mail nomination letters and transcripts. Transcripts must include contact details of the school official submitting them. Official transcripts are still required by mail; e-mailed transcripts are used for interim scholarship assessment only. Referees can e-mail reference letters. Reference letters must include the contact information of the referees. Include in the e-mail subject line of all e-mails: your name (as it appears on the scholarship and admission application), date of birth and OUAC or York reference number for easy matching of documents. This e-mail account is for document submission only. Queries to this account will not be answered. All other documents received without a scholarship application will be destroyed. Demikianlah informasi mengenai York University International Undergraduate Student Scholarship & Award Program, Canada semoga berguna bagi anda.